● Kevin Harvick started first and finished fourth to collect seven bonus points. ● The No. 4 Mobil 1 Ford Mustang had two-second lead over Kurt Busch on lap 22. ● On lap 31, Kyle Busch overtook Harvick for the lead. ● Harvick pitted under a competition caution for four tires, fuel and a tire pressure and chassis adjustment. He said the car was tight. ● He restarted second but fell to fourth as the stage concluded. ● Harvick started fourth and finished third to collect eight bonus points. ● The No. 4 Mobil 1 Ford Mustang pitted under caution on lap 105 for four tires, fuel and a chassis and tire pressure adjustment but said the car was still too tight. ● On lap 131, Harvick pitted for four tires, fuel and a tire pressure adjustment. He said the team was moving in the right direction, but that the car was still tight. He restarted in third. ● Harvick started third and finished fourth. ● The No. 4 Mobil 1 Ford Mustang pitted on lap 205 for four tires, fuel and a tire pressure adjustment. ● On lap 246, Harvick pitted under caution for four tires, fuel and a chassis adjustment. He restarted fourth. ● Harvick pitted on lap 319 for four tires, fuel and a chassis adjustment, saying the car needed drive. He still ran in fourth. ● The No. 4 Mobil 1 Ford Mustang was in fourth place, six seconds behind leader Martin Truex Jr., with 50 laps to go. Harvick finished fourth, but just .932 of a second behind Truex. ● Harvick earned his fourth top-five and seventh top-10 of the season. 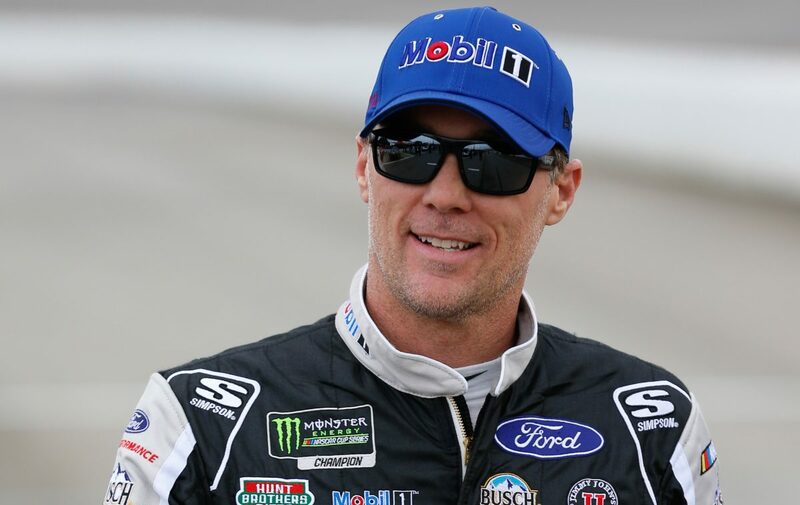 ● This was Harvick’s 15th top-five and 24th top-10 in 37 career Monster Energy NASCAR Cup Series starts at Richmond. ● This was Harvick’s s third consecutive top-five at Richmond. ● Harvick has finished in the top-five in all but three races at Richmond since joining SHR in 2014. ● Harvick finished fourth in Stage 1 to earn seven bonus points and third in Stage 2 to earn an additional eight bonus points. ● Harvick led once for 30 laps to increase his laps-led total at Richmond to 1,139.